Oh how I love MailChimp! If you are using any other email marketing client, I recommend that you switch over immediately. MailChimp is so intuitive—they actually walk you through the process step-by-step—that my first time using it, I had an email campaign set up within just a couple days. It was a snap to design my own email template, use Google analytics with MailChimp, and share my content through social media. 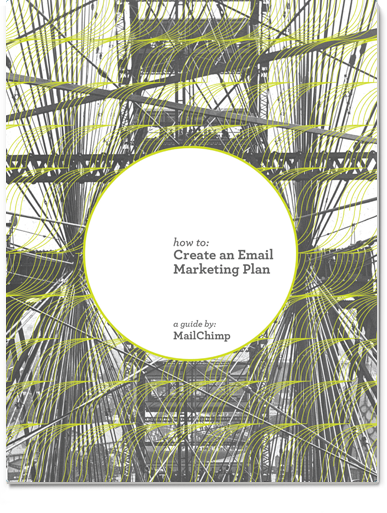 So check it out if you are new to email marketing or need a refresher! P.S.—I think MailChimp is really smart to promote itself with e-books. Who knew they could be such great marketing tools?